There must be a rule somewhere that states when summertime is here, delicious, colorful drinks must be had, and we don’t mind that rule one bit. 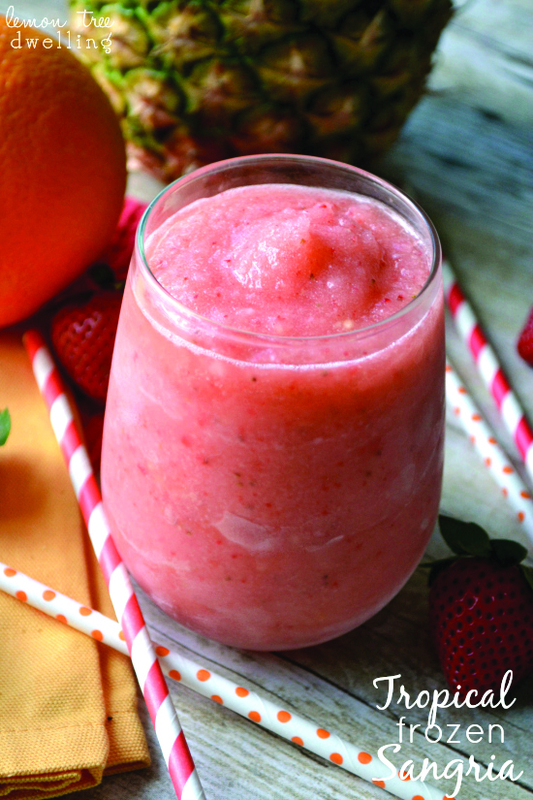 When summer cocktails came to mind, a few of us immediately thought of sangria—with its red and white varieties that include endless fruit combinations, there’s simply no reason not to enjoy it all summer long. However, we were surprised to discover that there was one type of sangria that we’ve never even considered before—frozen! Naturally, when we found this happy delight from lemon tree dwelling, we couldn’t hold back from sharing it with you. 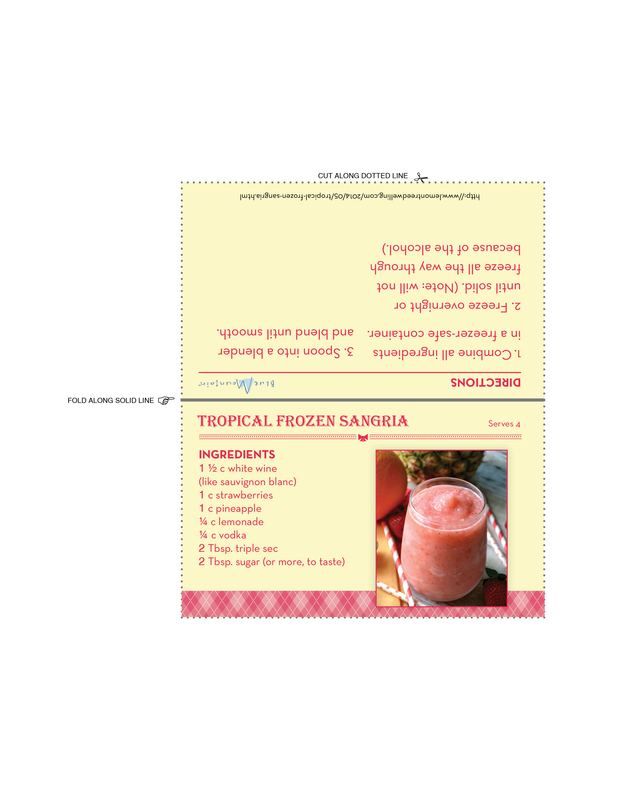 So, without further ado, please print and enjoy this free recipe card for Tropical Frozen Sangria, and come along with us to savor the flavors of summer!